We make it easy for nonprofit professionals to find the basic information you need, quickly. If a foundation files taxes electronically, you'll find them on Grantmakers.io. Basic stats, full grant listings, and key personnel. 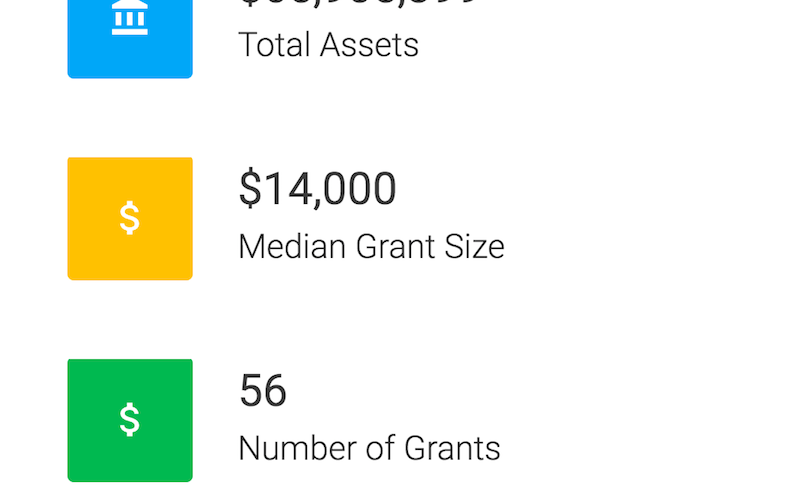 What's the average grant size? Is the foundation professionally managed? Get a quick snapshot of every foundation. Profiles contain an embedded grants database allowing you to search across grants from all years. Search provided by our friends at . 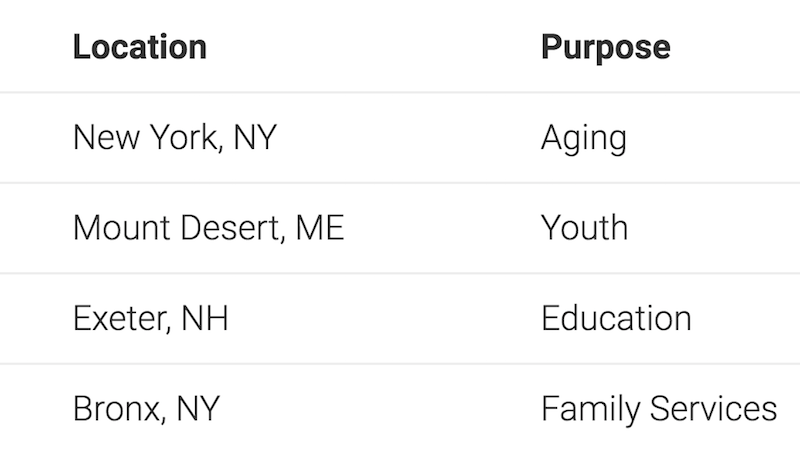 View a foundation's historical giving trends to see if your organization is a match. 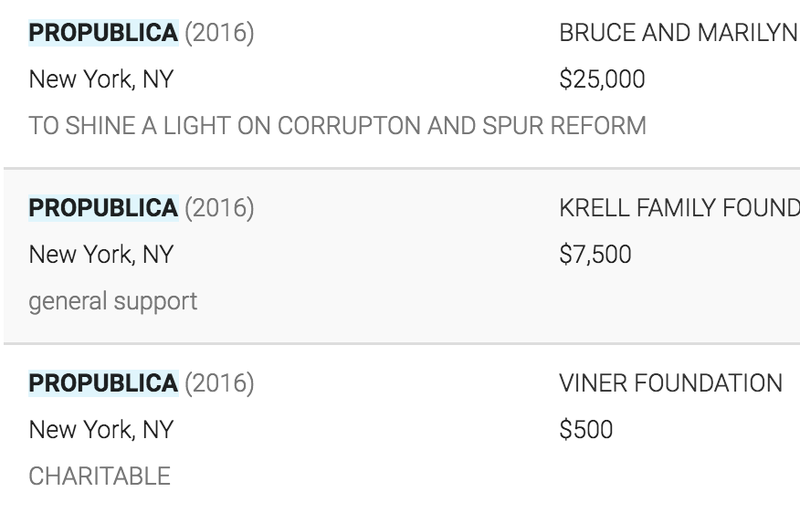 Now anyone can search across all grants contained in the IRS dataset. No sign in required. Forever free. 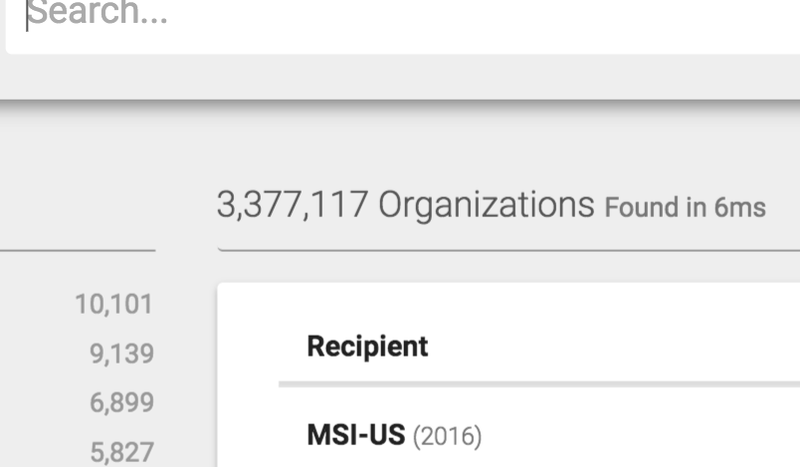 Thanks to our partnership with Algolia, we've developed an incredible search tool allowing anyone to search across all 4.8 million grants contained in the IRS dataset. 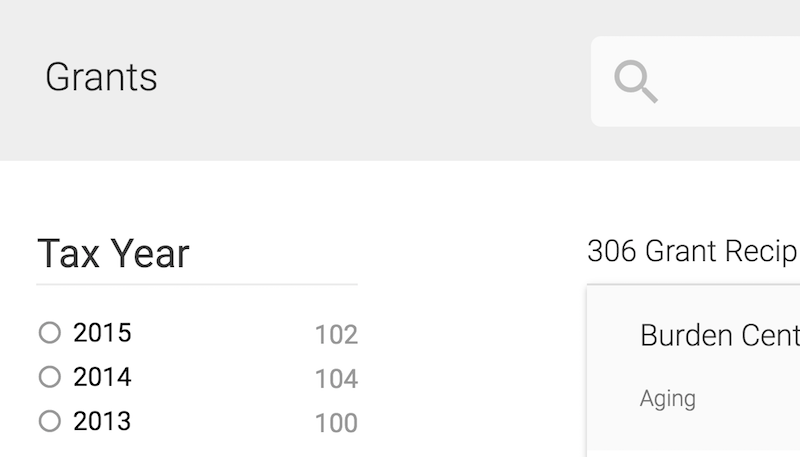 Live search allows you to quickly cover all relevant search terms. One funder's gender equality is another's gender parity. As a community project, your input guides what information we pull from the dataset and show in profiles. Not finding what you need in the foundation profiles? Just let us know.